Forty years after its release, William Friedkin’s The Exorcist remains one of the top-grossing R-rated films of all time, holding its own against movies released decades after it initially scared the bejeezus out of people in December 1973. The success of Friedkin’s film spawned four sequels of varying quality, along with persistent rumors of an “Exorcist curse” that has purportedly dogged members of the cast and crew (some more than others) ever since. Now, Fox is trying to undo that curse with a high-profile network drama series based on the franchise. Not quite sequel and not quite reboot, the best way to describe this show is as another tale set within the Exorcist universe: The famous stairs from Friedkin’s The Exorcist appear briefly, but our hero is a new addition, Father Tomas Ortega (Sense8’s Alfonso Herrera). Ortega leads a small congregation in a run-down, present-day Chicago church whose congregation, as we’re reminded in a series of comedic character bits, is mostly Latino. But mostly, the goings-on are deathly serious (no pun intended), as Ortega is plagued with recurring visions of a grizzled priest we later find out is Father Marcus Keane (Ben Daniels) attempting to exorcise a young boy in what we later find out is the slums of Mexico City. Perhaps appropriately, The Exorcist pilot shows promise in its exorcism scenes, pushing the boundaries of network TV with some delightfully gross special-effects makeup. Unfortunately, though, as soon as it establishes the menace of the ancient evil menacing this ancient young boy from the inside, The Exorcist ruins the drama of the moment by having a bewildered Ortega wander into the frame and wonder aloud if he’s dreaming. That’s a major problem with the pilot in general, which at several points sets up scenes of atmospheric horror, then undermines them with a cheap scare. The most egregious of these occurs when Ortega goes down to the basement of his church to reset the circuit beaker after the power goes out. Enveloped in shadow and surrounded by dusty religious relics, the scene is just starting to get creepy when Ortega turns around and—surprise!—Geena Davis is standing right behind him. 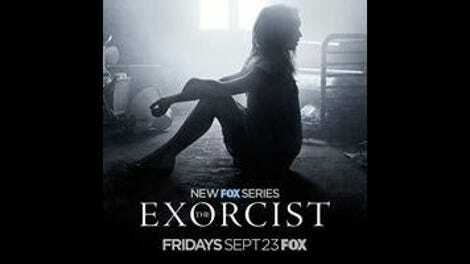 It’s a cheap bit unworthy of a prestige horror franchise, and nonsensical to boot. She explains that a parishioner told her he was in the basement, so she followed him down there—into the pitch black, without a flashlight, when he would return within a matter of minutes. Similarly nonsensical touches mar the season’s main storyline, revolving around the potential possession of Angela Rance’s (Davis) daughter. Aside from an exposition scene where Katherine Rance (Brianne Howey) is established as a troubled teenage girl, the only hint that anything is wrong in the Rance household—before Angela comes to Ortega for spiritual guidance/another exposition dump toward the end of the pilot—is a scene where Angela hesitantly rubs her hands over the walls of their house, which she later explains have been making strange noises. Then there’s the mysterious affliction affecting the patriarch of the family, which maybe, might be supposed to be Alzheimer’s, but comes across more like intermittent distraction. And without giving away too much about the big set piece of the pilot, let’s just say that this particular ancient evil is pretty easy to banish. Just turn on the light. The slow creep of a possession story—is it mental illness, or something far more sinister?—key to the terror of the original film, is a horror trope uniquely suited for long-form storytelling. And hopefully The Exorcist is simply attempting to hook viewers with funhouse scares before settling in for some real, creeping terror. It’s certainly got the potential, at least visually. But as long as it overcooks some horror elements and undercooks others, the only unsettling feeling it will establish in viewers is confusion. 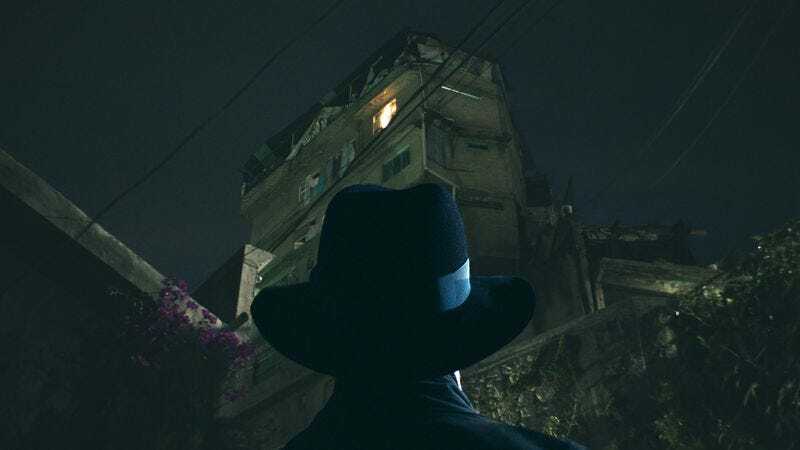 Still, it’s hard to deny the tingle that runs up the spine seeing a priest don that iconic hat and long coat and go out a-exorcising to the tune of “Tubular Bells,” even if this series has more in common with Exorcist: The Beginning than the original.